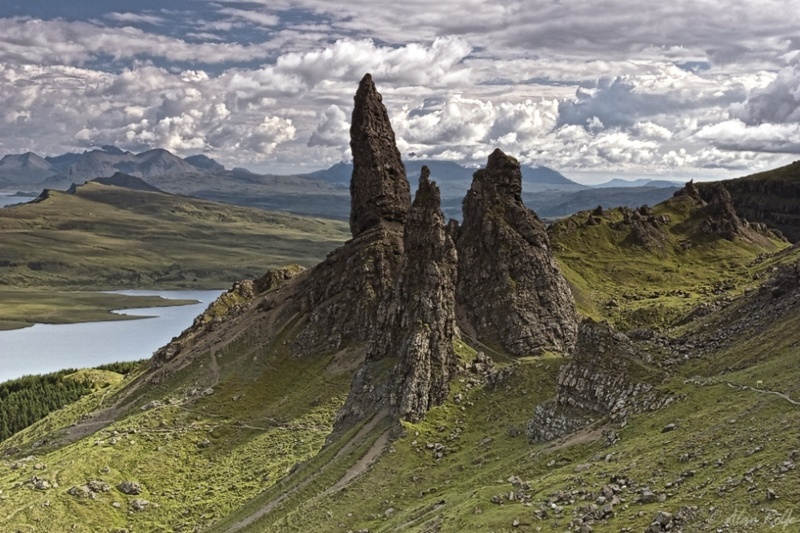 One of the most fascinating parts of Scotland is the extraordinary Isle of Skye. 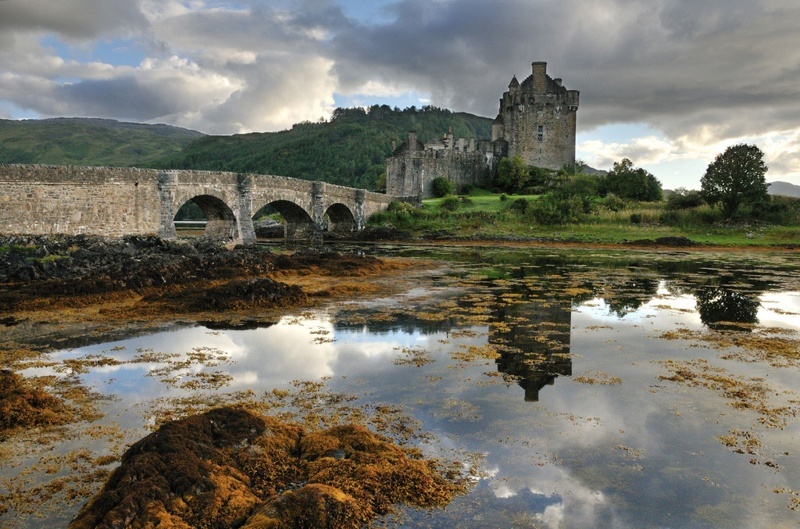 It has everything you can expect to find in the Highlands: stunning greenish landscapes splashed with lakes, waterfalls, and the seaside. 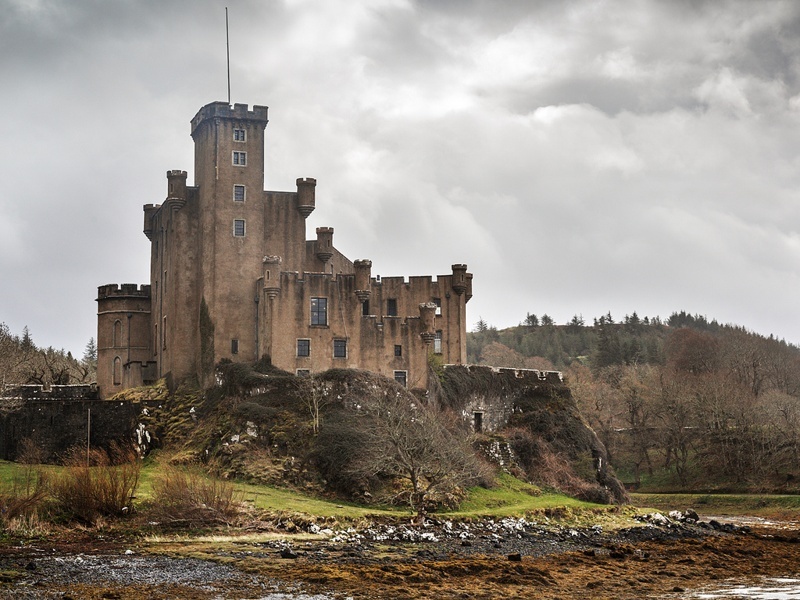 I has haunted castles, picturesque towns and whisky distilleries. 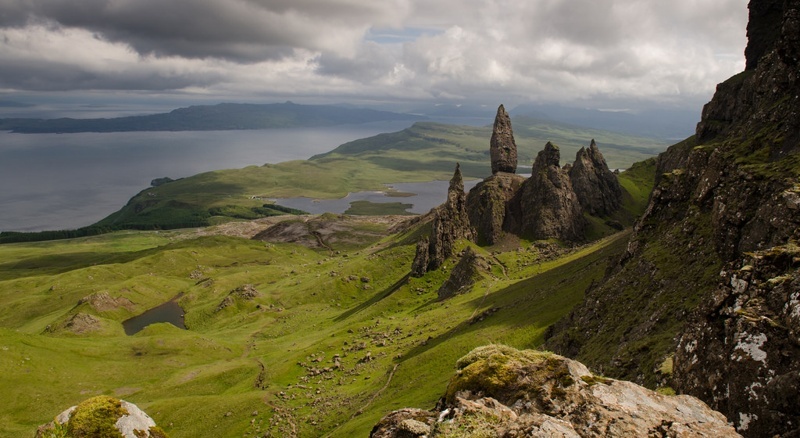 But what makes Skye special are certain unique places that seem out of a fairy tale. 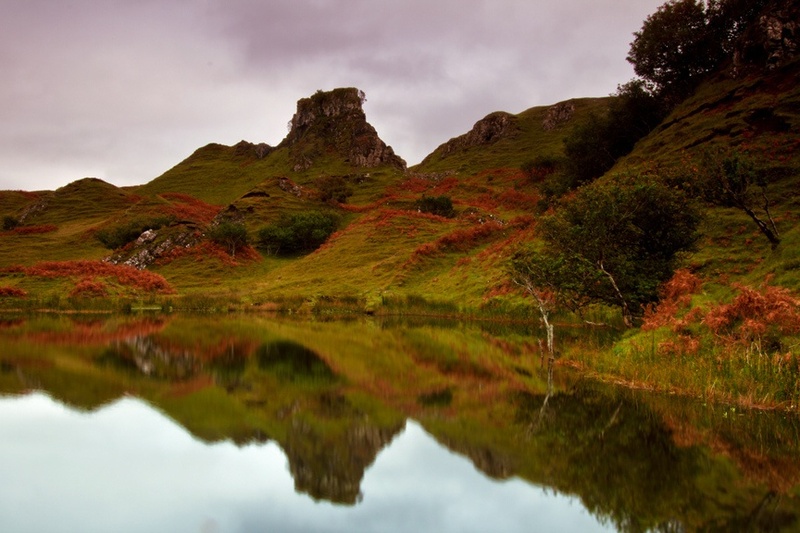 To visit the island, the most interesting route is to follow the road along the coast in the Trotternish peninsula. 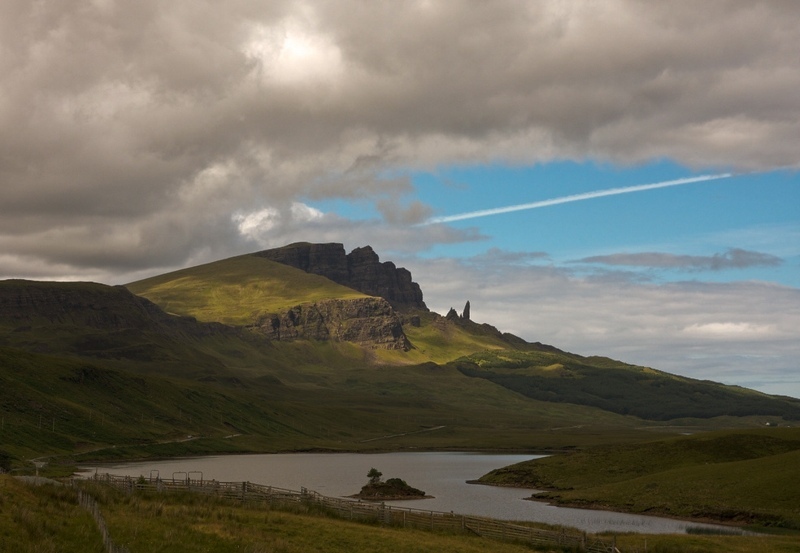 Only driving around this loop, leaving from Portree, requires a busy day and good luck with the weather. Please find the map of the itinerary below at the end. 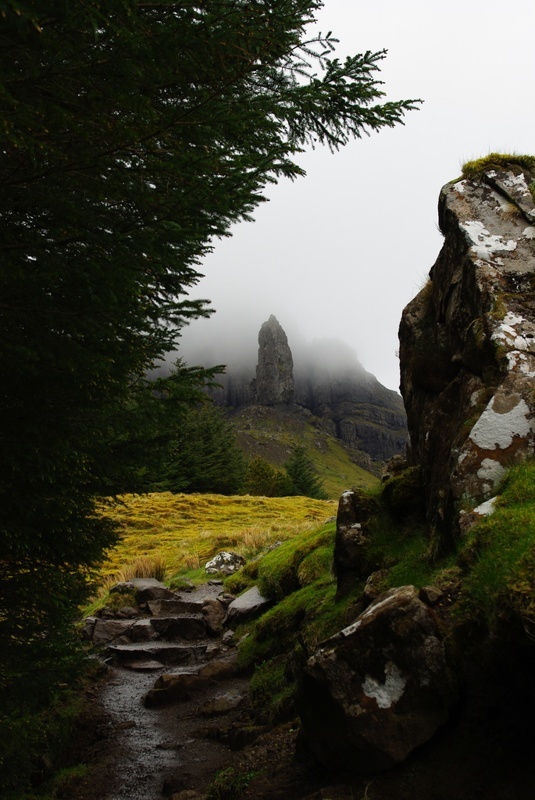 The Storr welcomes you this way. Needless to say that the views from the top are great. Diagram to have an idea of how big is this thing. 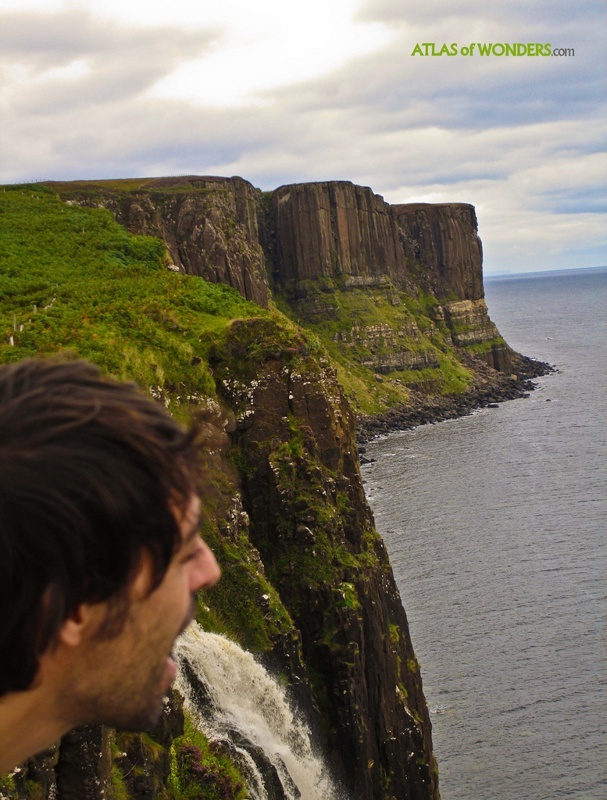 Also don't miss the Kilt Rock. You can use the waterfall to get creative here! 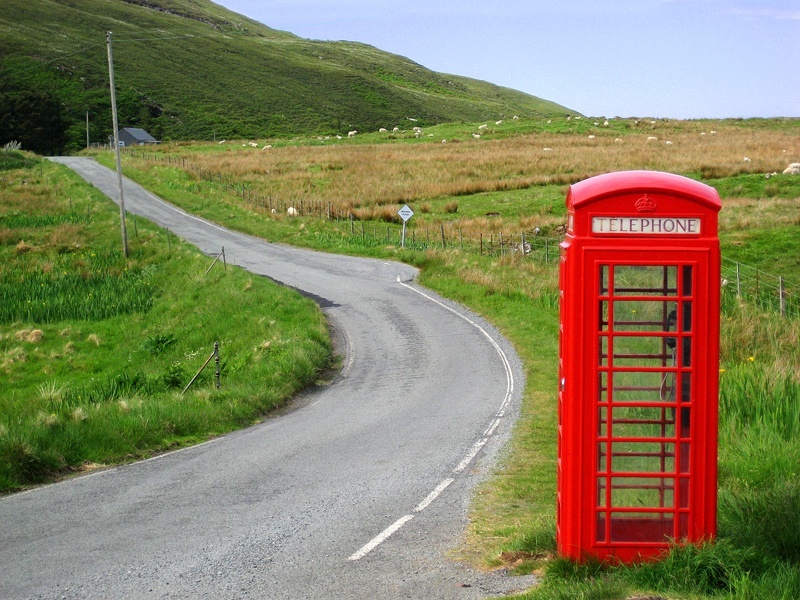 In northern Trotternish peninsula roads have just one lane, but Superman has still his emergency telephone box. 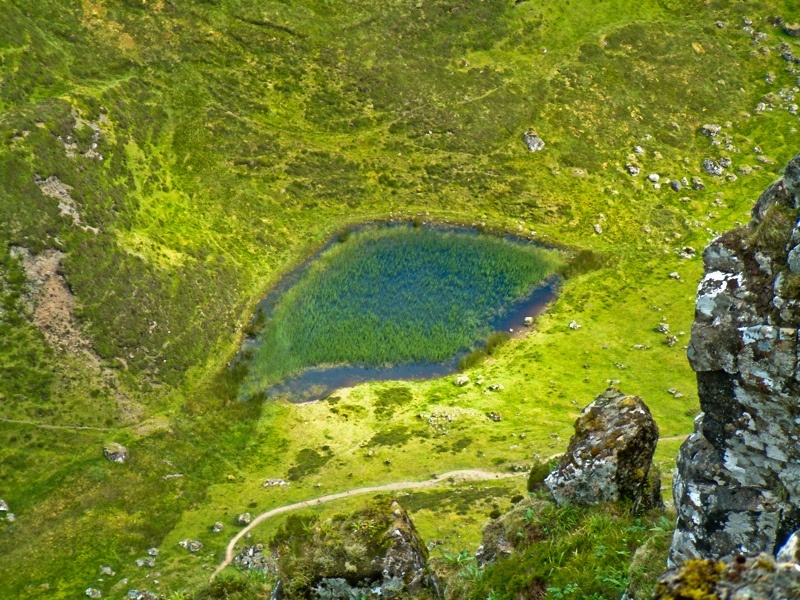 If you decide to go climbing the Quiraing, you can spot the eye of Sauron. 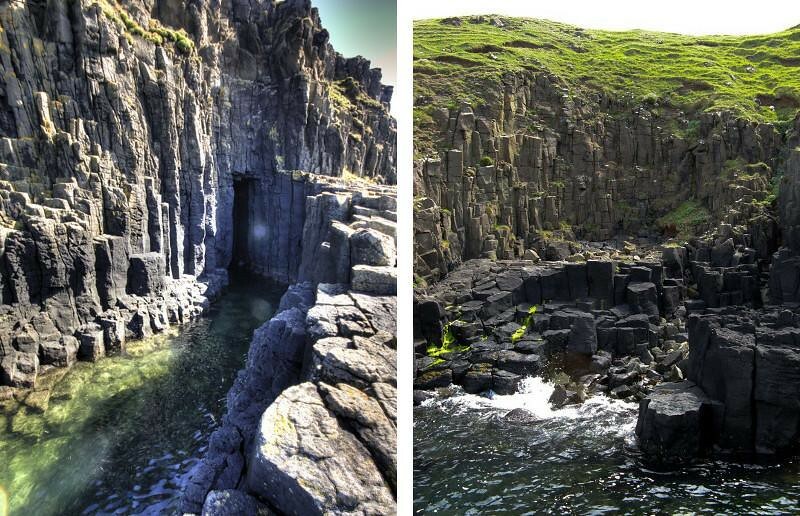 The hidden Cave of Gold is Skye's answer to the Giant's Causeway. It's not easy to get to the Cave of Gold. 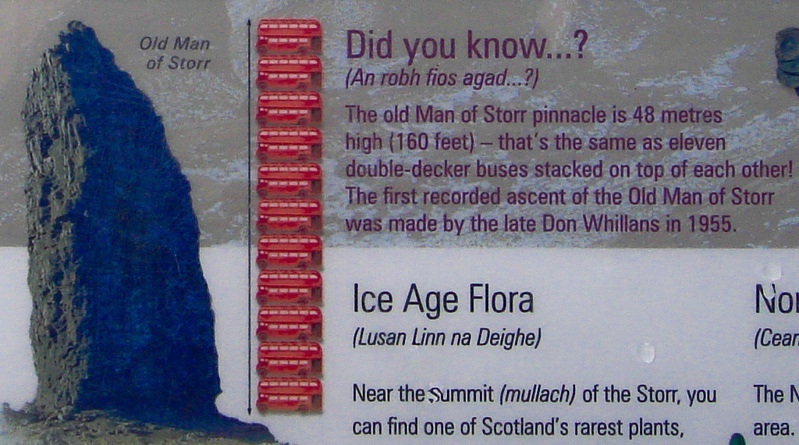 You can follow the instructions from the superb web Walkhighlands. 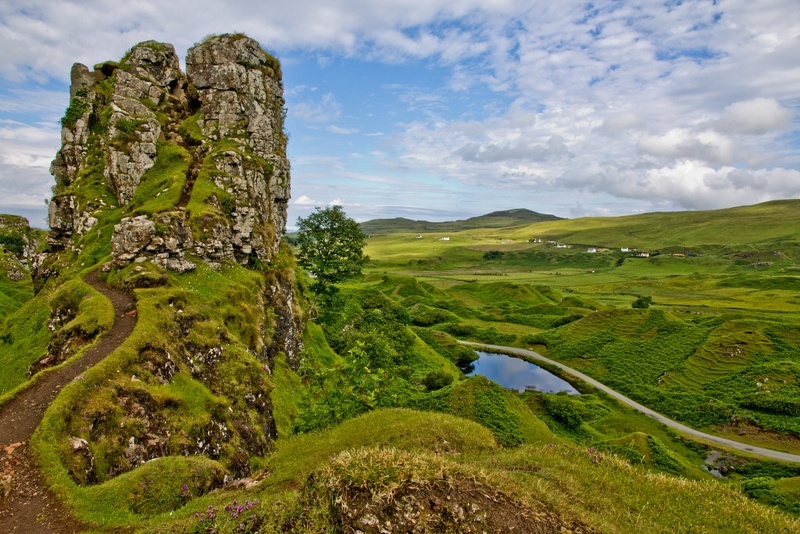 Image by Richard Wilson and Freddie H.
If you find the Fairy Glen, you'll have the feeling that you are entering another world. 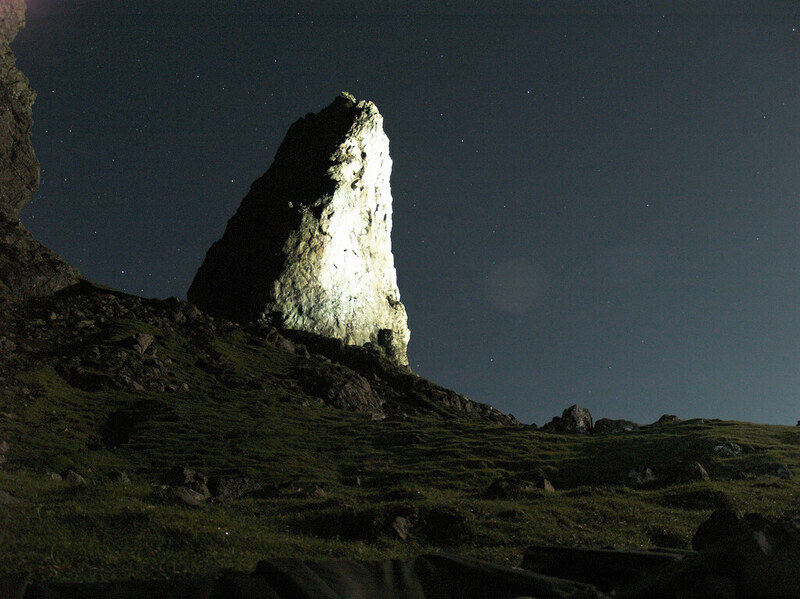 Suddenly, the landscape become strongly different from the surroundings. 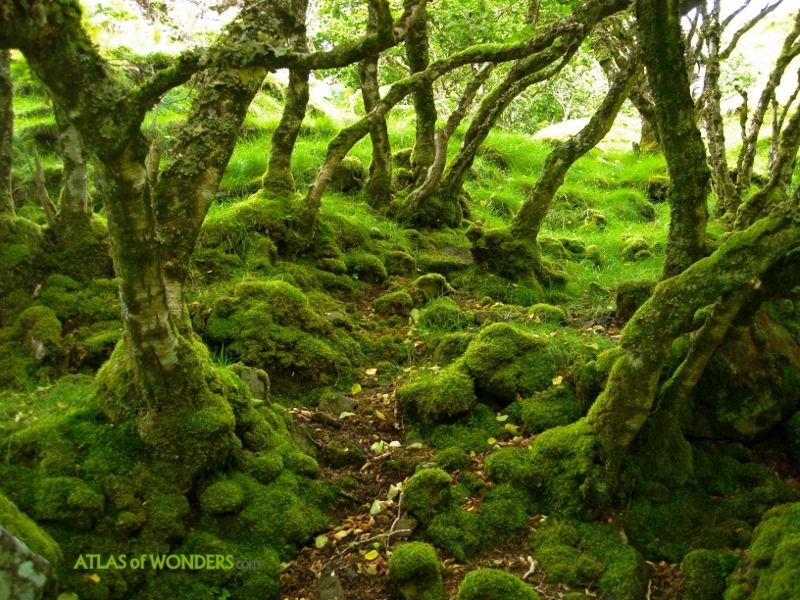 I only have seen these strange natural mounds in the other site of the world, in New Zealand. 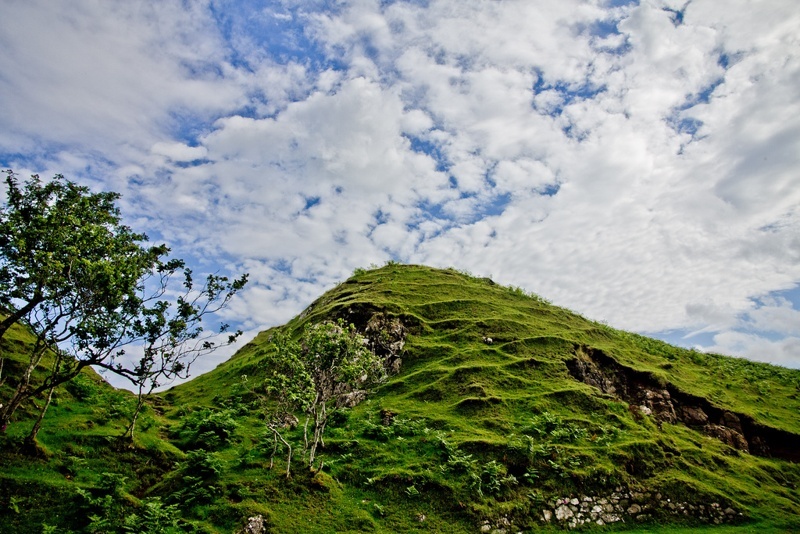 Keep the secret, the Fairy Glen is unspoilt and there are no signs to find it at all. I must confess that this is one of my favourite pics. 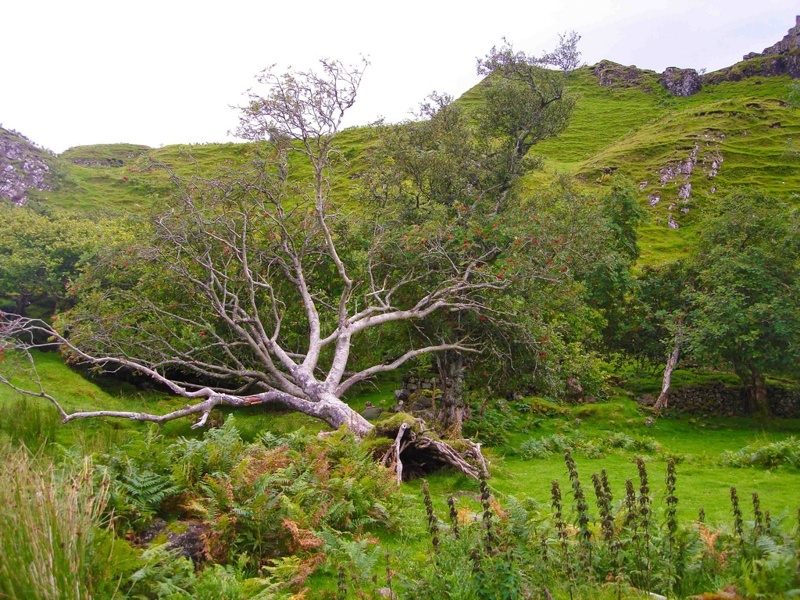 Fairy Glen has many scenic features in a small area: a tiny pond, a fallen tree, old ruins, and many sheeps leaping around the coned hills. Haunted trees that look like they will start walking at any time. 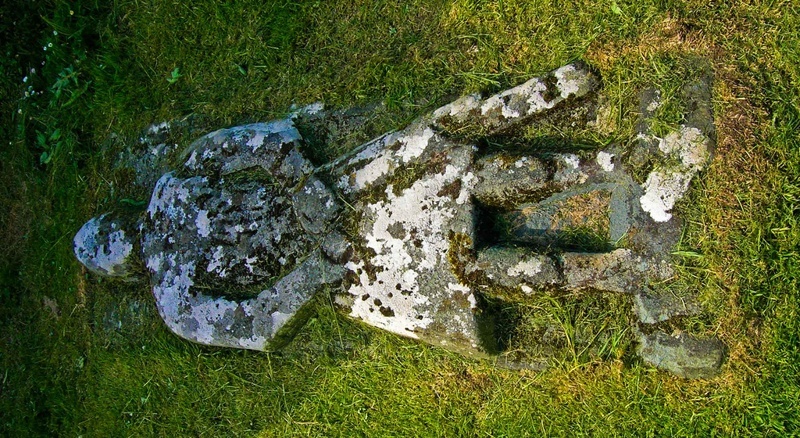 You can visit the tomb of this medieval knight in the Kilmuir Graveyard. 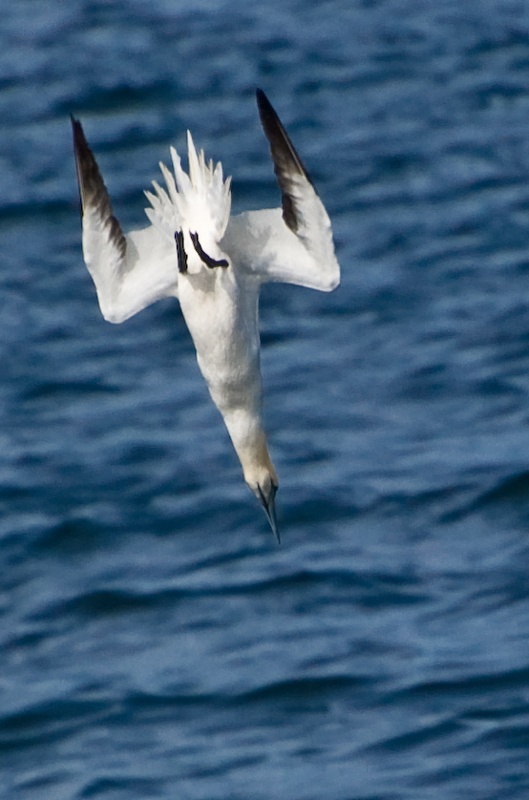 Look at this awesome jet bird! 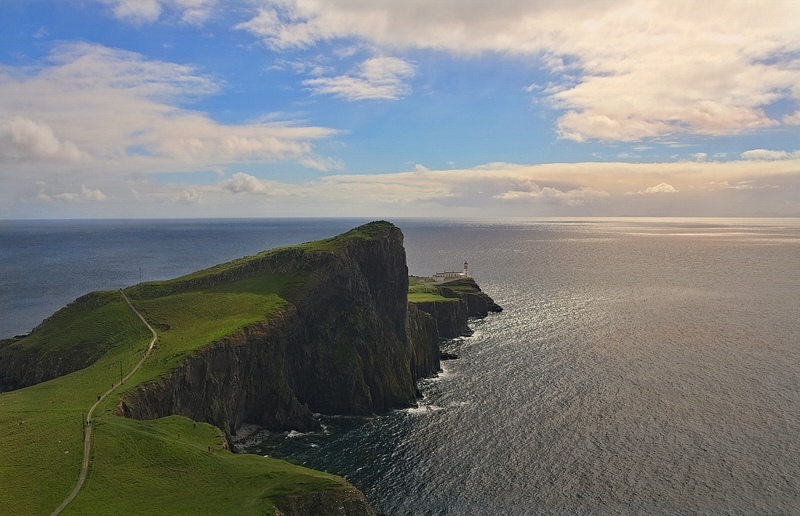 The next point of interest is Neist Point. 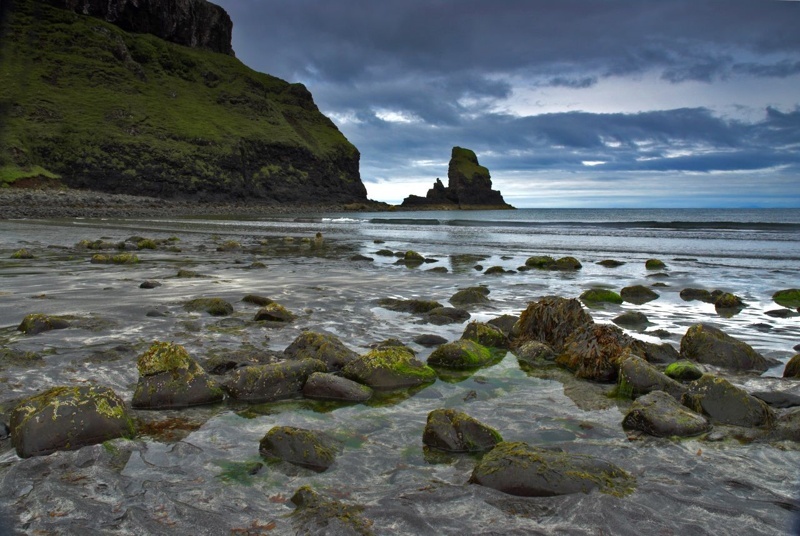 The solitary Talisker Bay is near Carbost, where you can visit the Talisker whisky distillery. 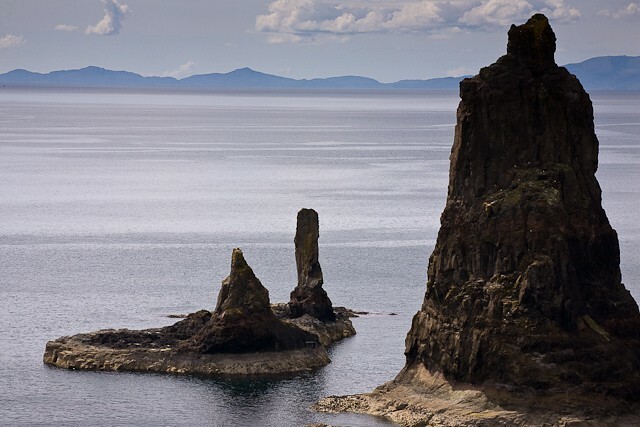 The Macleod's Maidens are some standing stacks on the sea, only reached by land after a long walk from Orbost. 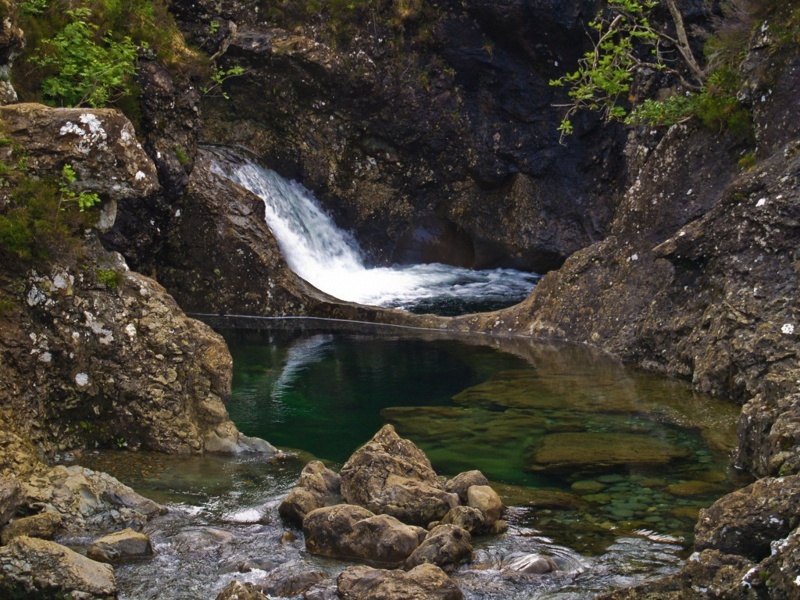 The Fairy Pools is another magnetic place to see, located in the heart of the Cuillins. 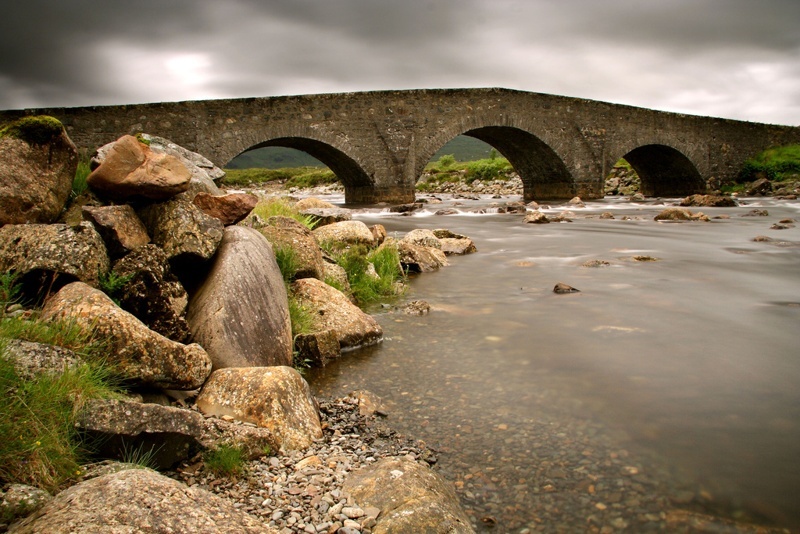 Sligachan bridge, waiting at the crossroads. 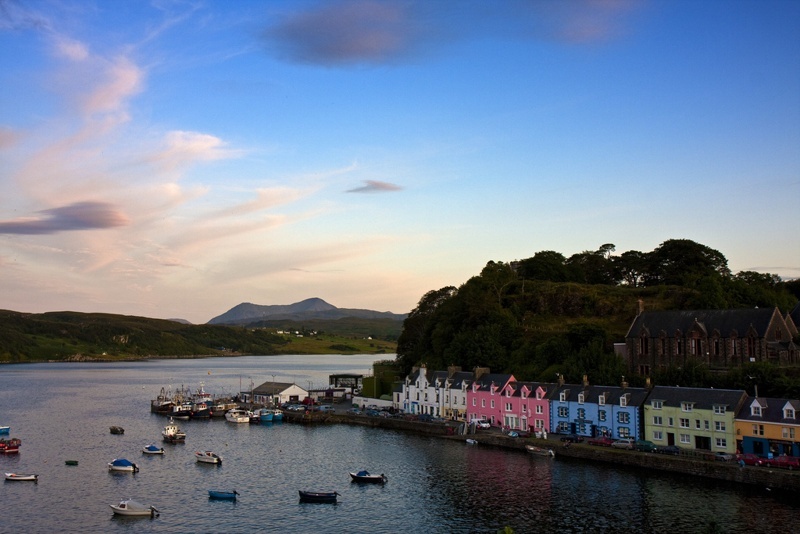 Portree, the largest town of Skye, is populated by 2,500 souls. 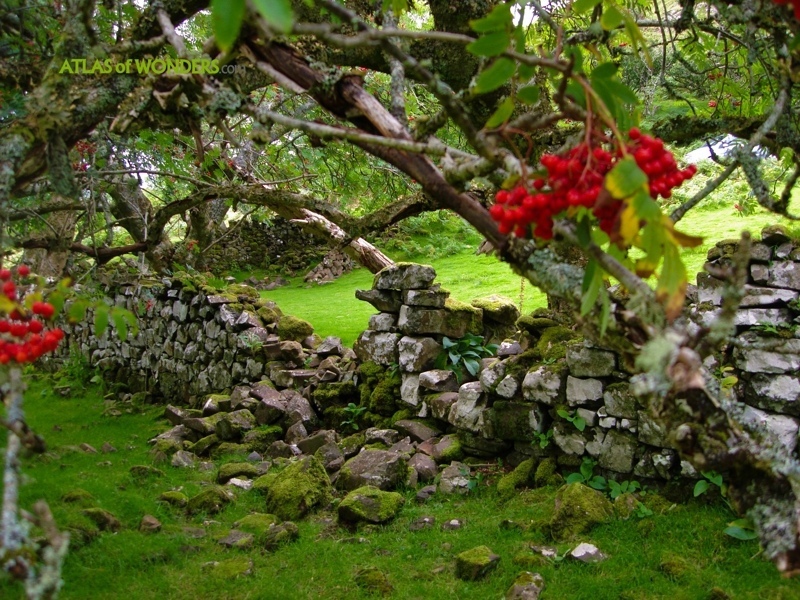 So, so lovely here. Someday will have to make that trip and just stay for a while. 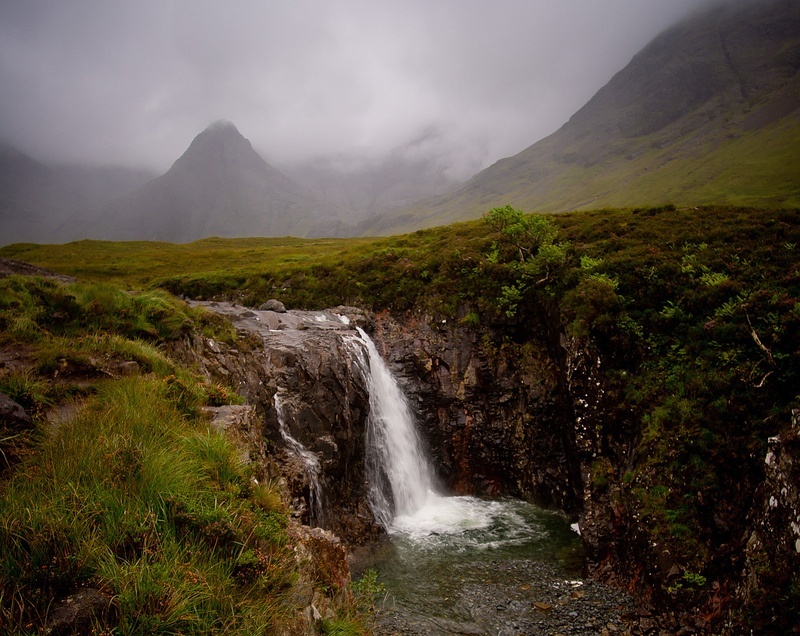 Best pictures I've ever seen of the most beautiful place on Earth. Thanks for sharing!! !